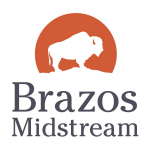 Williams and Brazos Midstream Announce New Strategic Joint Venture in the Permian Basin | Williams Companies, Inc.
TULSA, Okla. & FORT WORTH, Texas--(BUSINESS WIRE)--Williams (NYSE: WMB) and Brazos Midstream (“Brazos”) today announced that they have agreed to enter into a joint venture (the “Partnership”) in the Delaware Basin. Under terms of the agreement, Williams will contribute its existing Delaware Basin assets to the Partnership, in exchange for a 15 percent minority position in the joint venture. The contribution of the Williams assets will expand the footprint of the current Brazos system and the combined capabilities of the Partnership will provide existing and prospective customers with an enhanced suite of services.